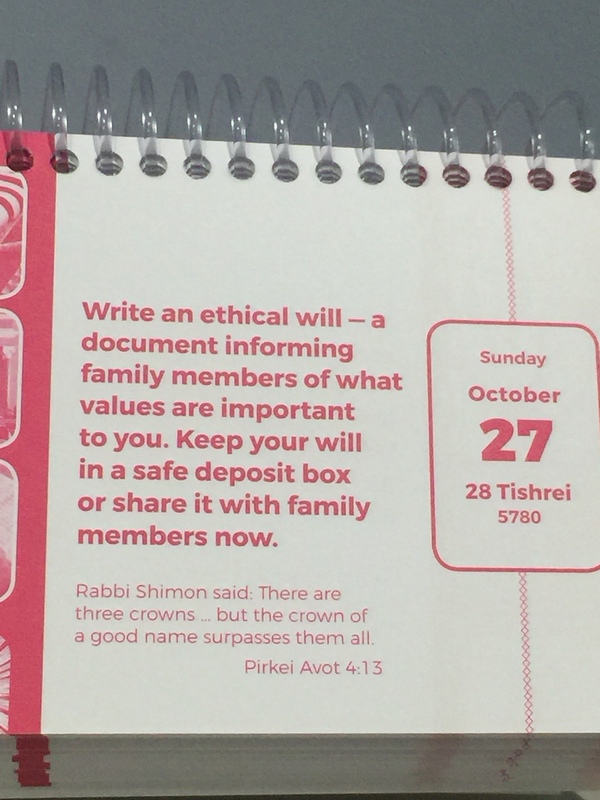 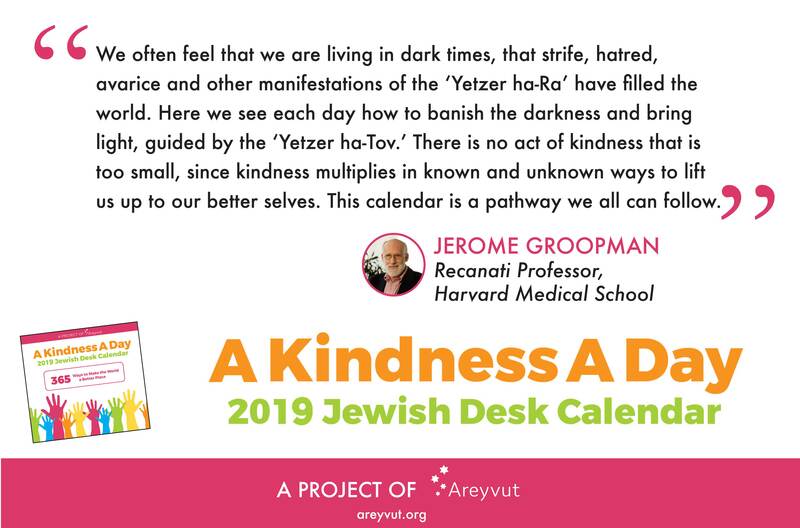 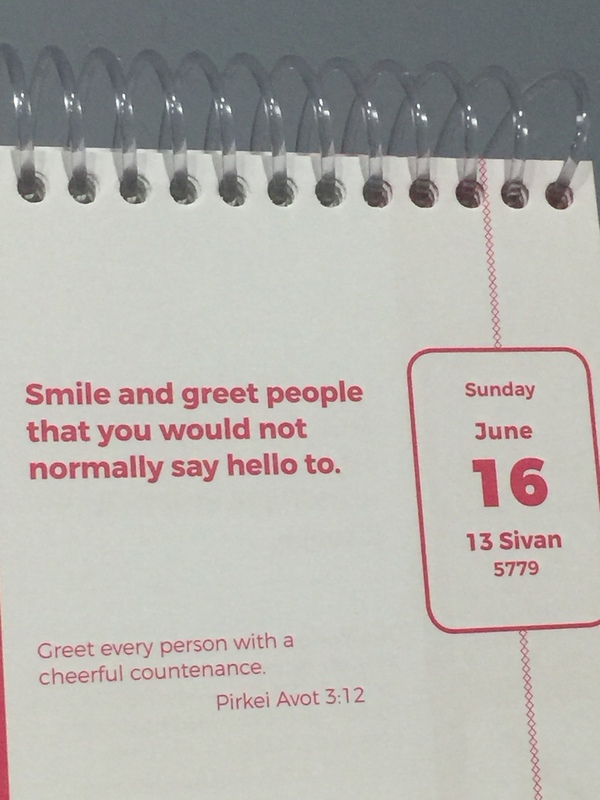 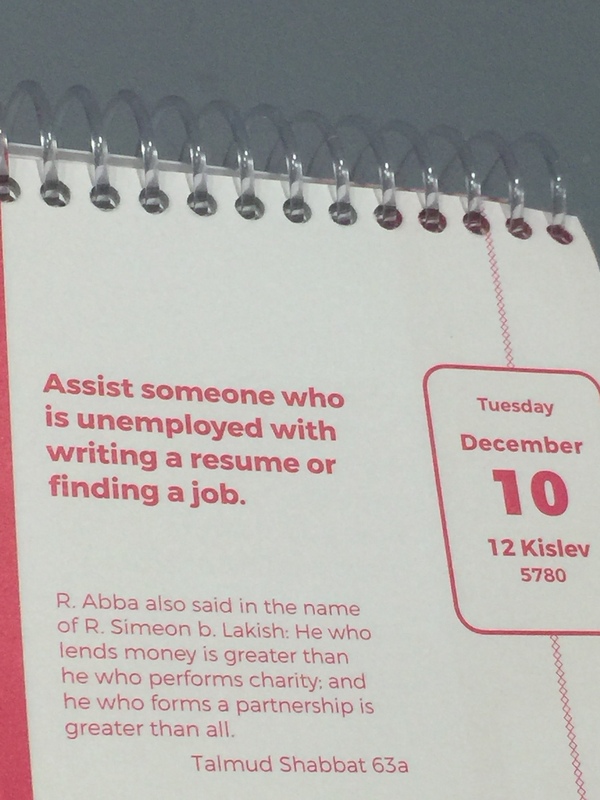 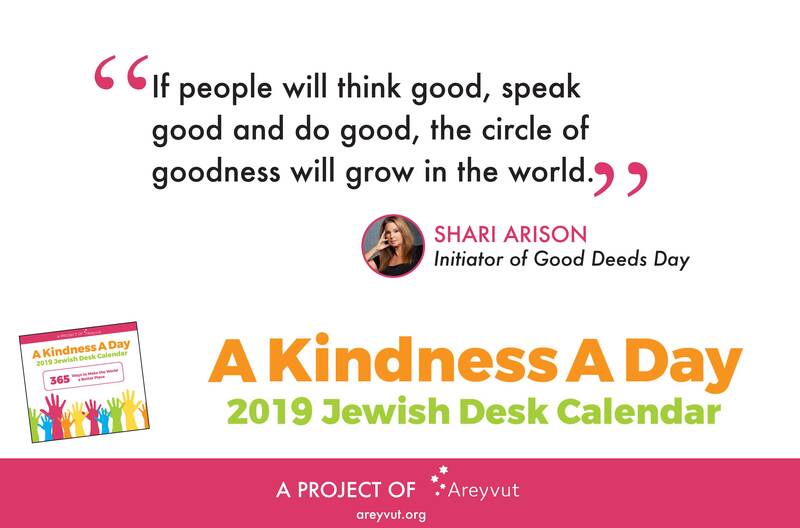 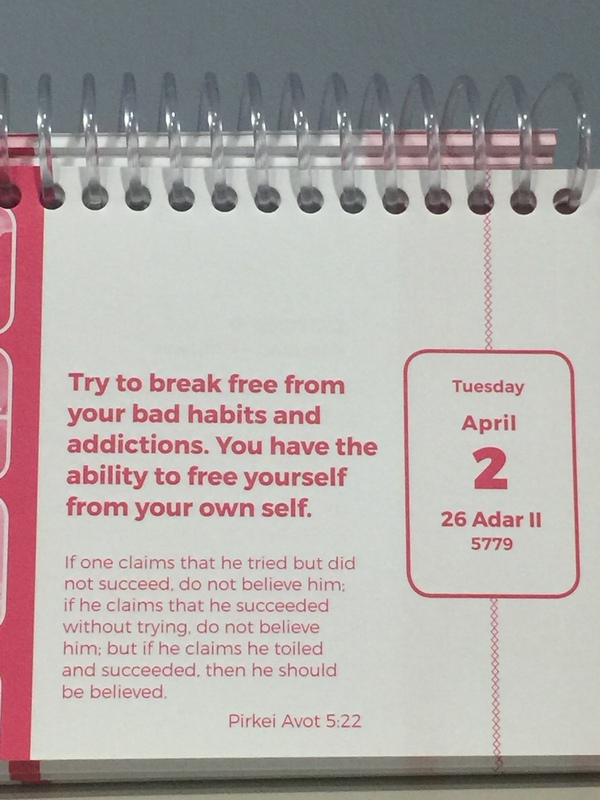 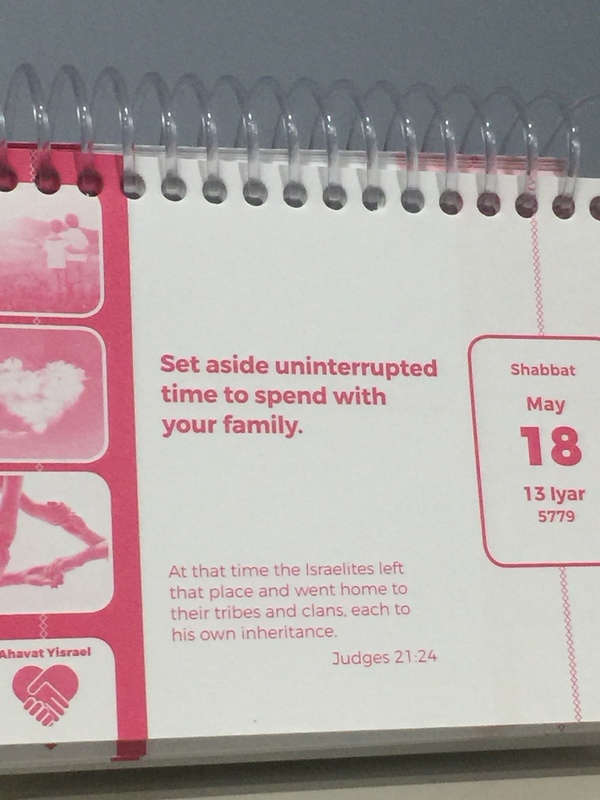 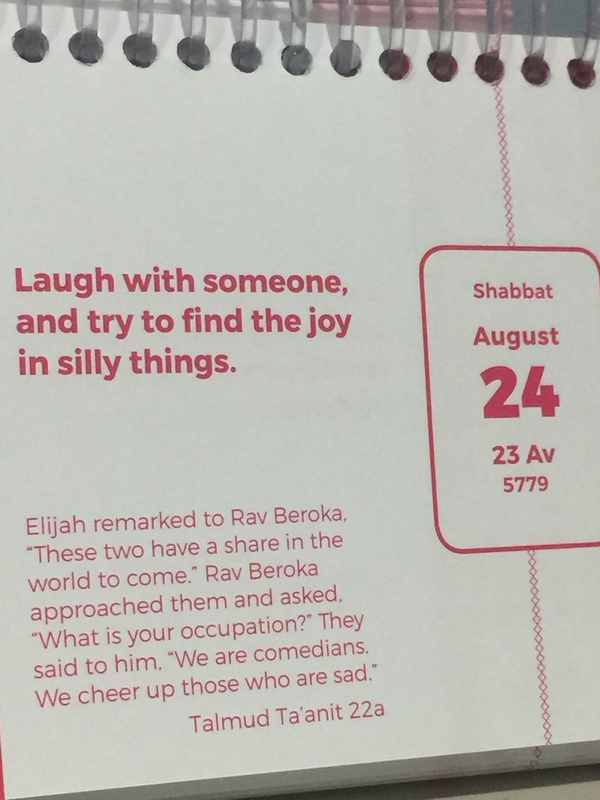 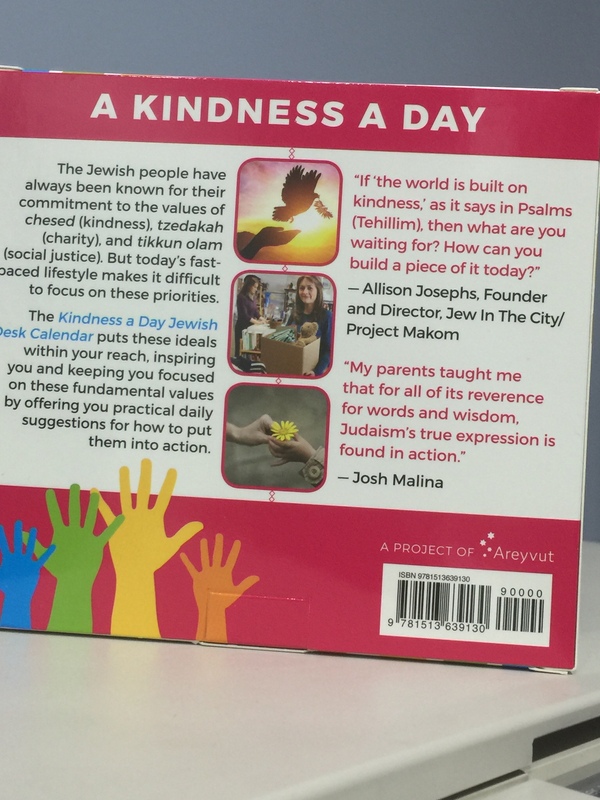 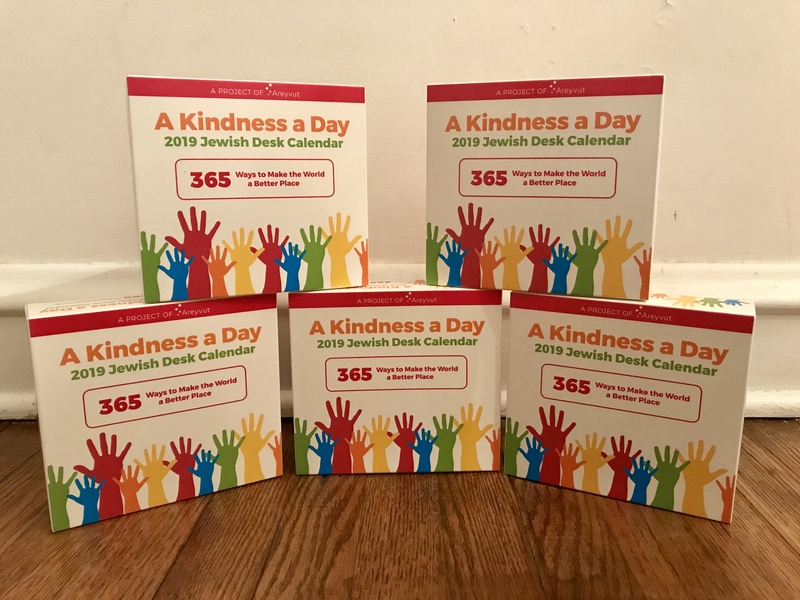 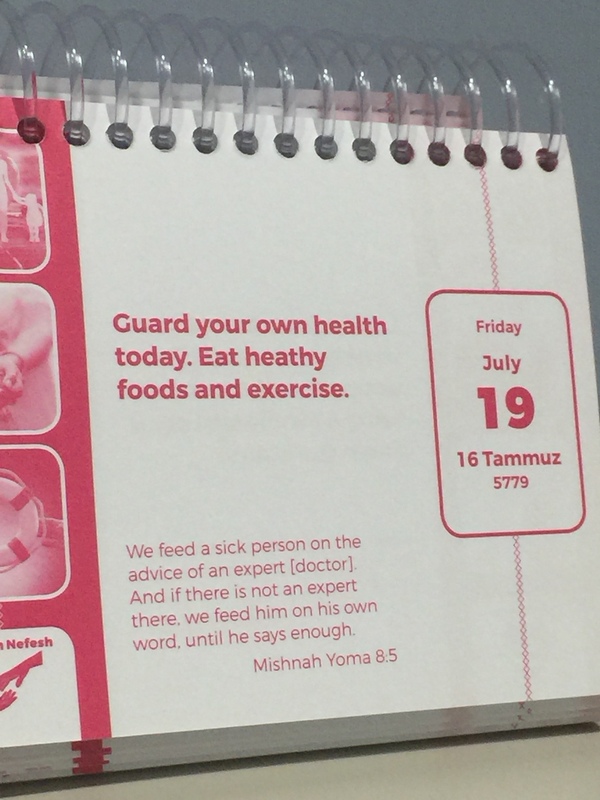 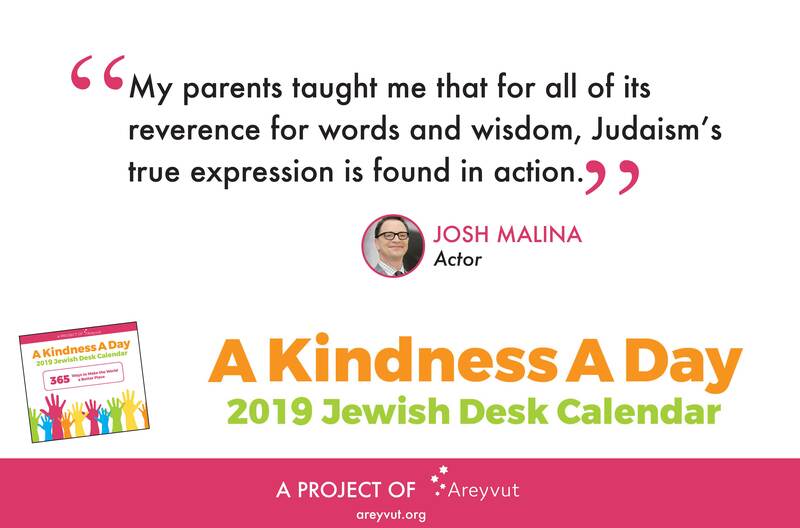 Areyvut’s Kindness a Day calendar is an accessible, relatable, unique tool that can help put the values of chesed (kindness), tzedakah (charity) and tikkun olam (social justice) that lie at the core of Jewish tradition and practice within reach, so that you can easily infuse your daily life with core Jewish values. 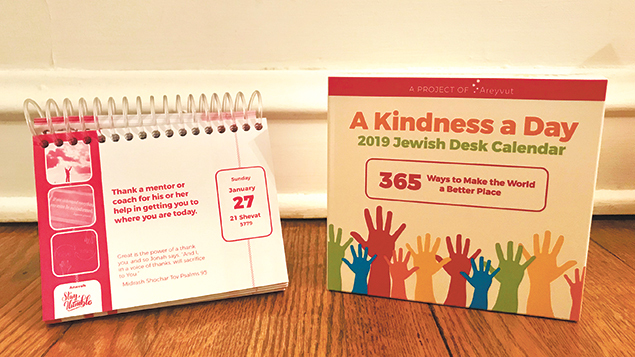 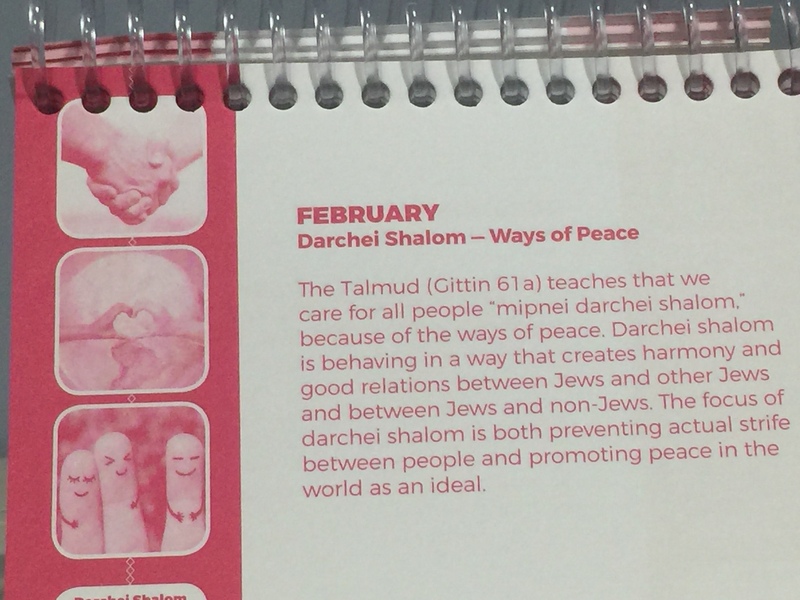 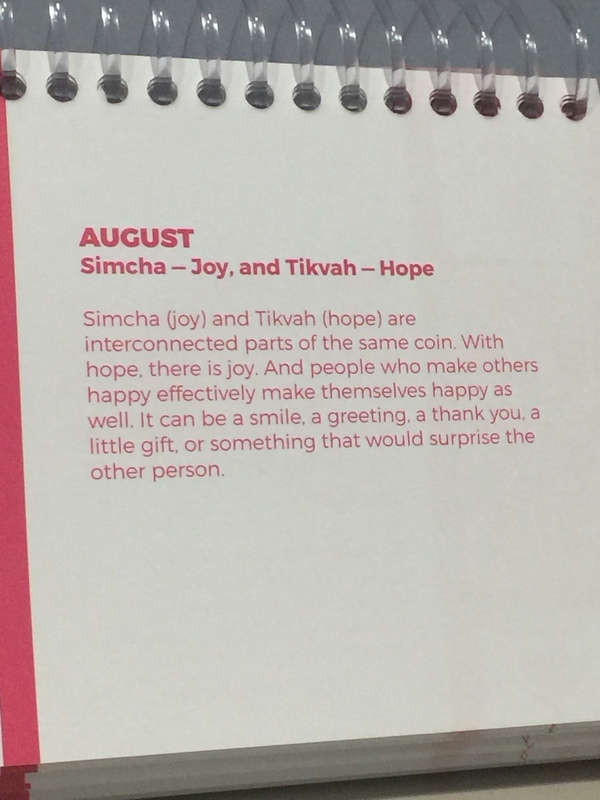 Each month is dedicated to a theme – such as welcoming guests, expressing gratitude and doing the right thing – with each day highlighting a piece of Jewish text along with a modern interpretation, providing 365 days of meaningful and practical acts of kindness. 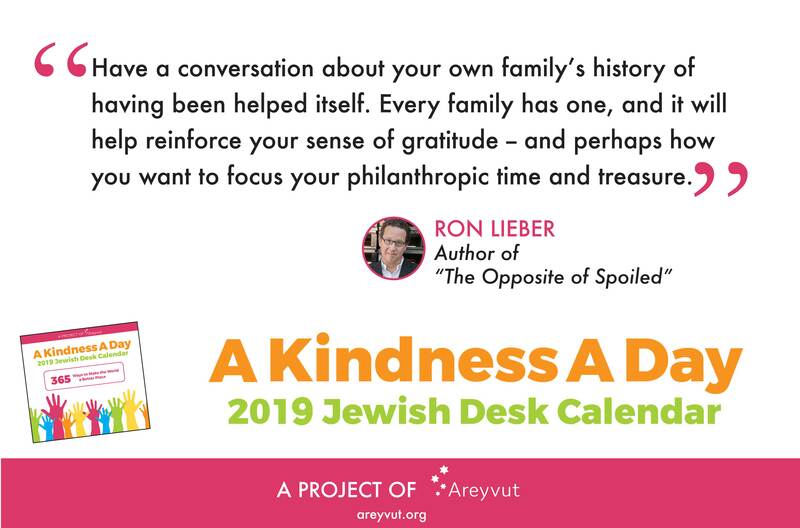 Our calendar is a powerful tool that not only helps make the world a better place, but also forges more meaningful relationships with loved ones. 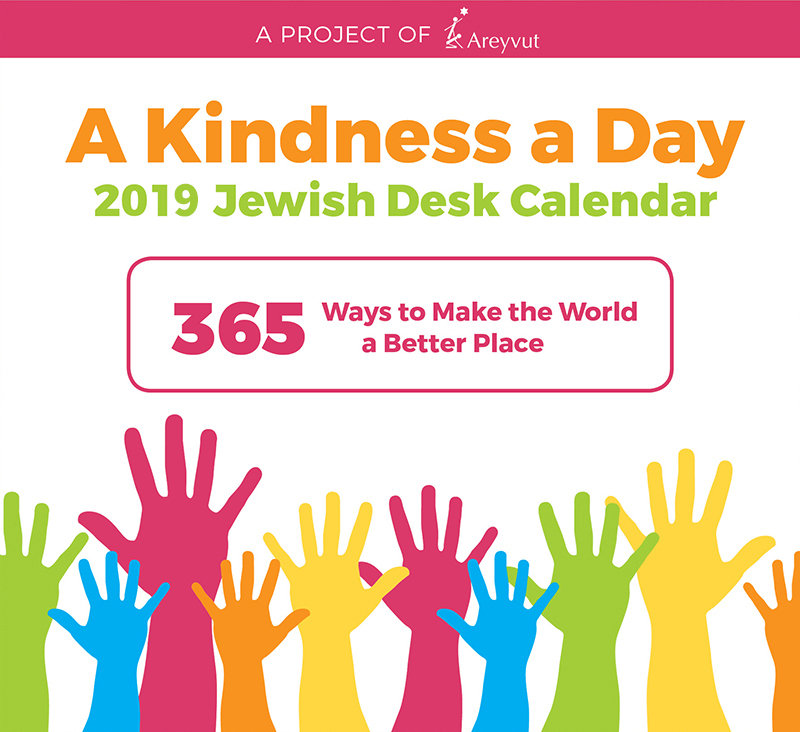 Sometimes, a small reminder is all one needs to pause amidst a hectic day and think of how one small action can impact so many.